The DVD is the second official Caamora Theatre Company bootleg. 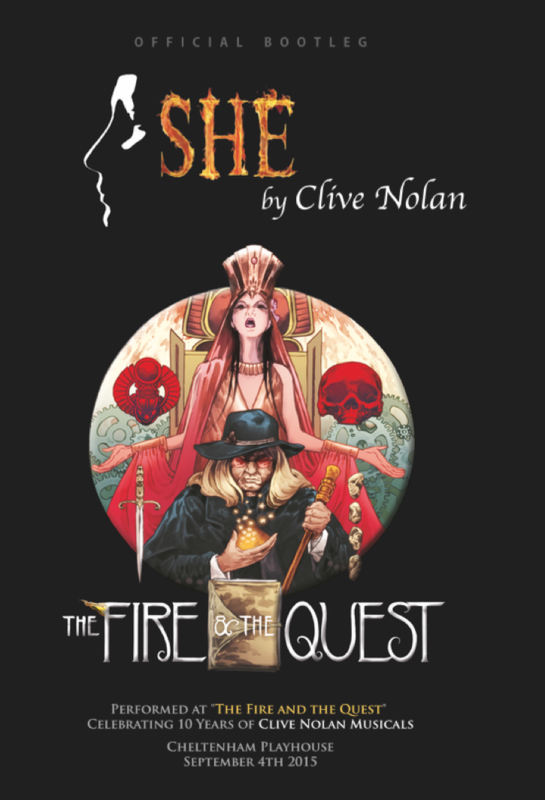 This production of Clive’s first musical, ‘SHE’, was performed at the Cheltenham Playhouse on September 4th 2015 as part of the event celebrating 10 Years of Clive Nolan Musicals. Warning: due to technical limitations, the only sound available was from the cameras. The DVD will be dispatched in September. Profits will go into the production of Clive's next musical, 'King's Ransom'. Clive: "Most probably this is the last chance to experience "SHE" live, as we are about to embark on an entirely new journey together with Professor King and his companions..."
Clive's Guest Performance on the New SETI Album! 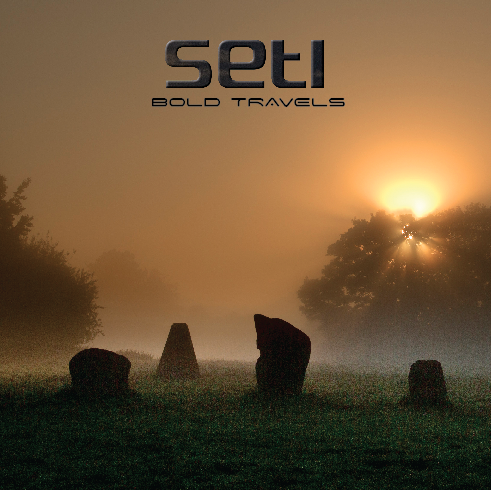 Clive has recorded guest solo keyboard parts for the forthcoming album of the Chilean band, SETI. The band's third album, 'Bold Travels' is now available for pre-order! SETI is one of several progressive rock projects of Claudio Momberg. This versatile keyboard player is known from bands like Taurus, Subterra and Quarks as well as his long-term involvement in Clive's Caamora Theatre Company. Momberg took part in numerous Nolan-related concerts and theatre shows around Europe and South America. 'Bold Travels' is scheduled for release this August! The album will feature Chilean musicians: Jaime Scalpello (vocals), Paula Vilches (vocals), José Luis Ramos (bass), Juan Ricardo Weiler (drums), Gabriel Hidalgo (guitars) and Claudio Momberg (keyboards, bass, guitar, backing vocals), with special guest performances from renowned prog celebrities: Clive Nolan (keyboard solos), Steve Rothery (Marillion) (guitars) and Damian Wilson (vocals). The album cover was designed by another Caamora Company artist, Ron Milsom. Clive: "Another great SETI album from Claudio Momberg, and I had the pleasure of playing on this one! Good luck with the album Claudio!" 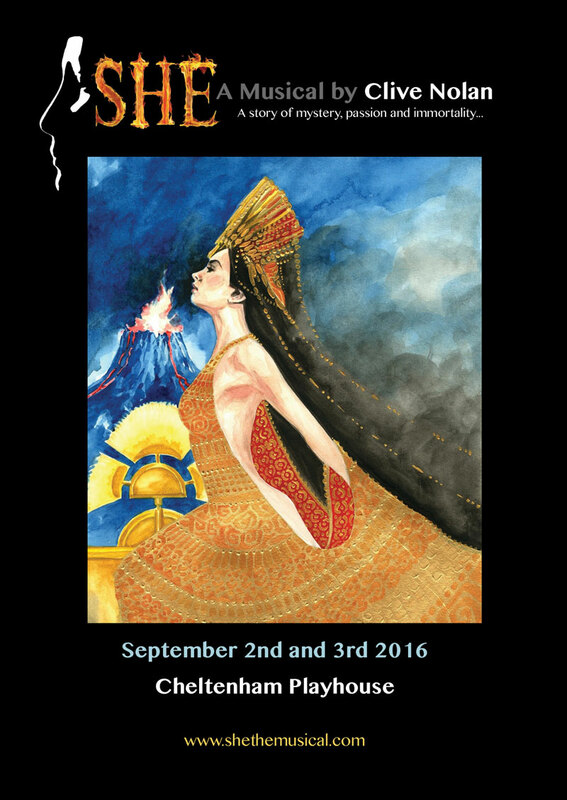 'She' Returns to Cheltenham this September! This autumn the Caamora Theatre Company will return to Cheltenham with Clive's first musical 'She'. This will be the third production of 'She' performed at the Cheltenham Playhouse and with only a few weeks left, the rehearsals are in full swing now. The shows will take place during the weekend (September 2nd and 3rd): Friday evening, Saturday evening and a Saturday matinee. Tickets are available at the theatre or online HERE. Special weekend deals allow you to buy tickets for two shows and get the third one free. It is our great pleasure to announce the cast of Clive's new musical, 'King's Ransom'. The musical, that takes us back to the universe of Professor King and his companions, is scheduled for release in early 2017. The album will feature 11 principal characters, a chorus and a host of musicians. The recordings have now begun and some musical snippets together with a synopsis of the story will be available soon! 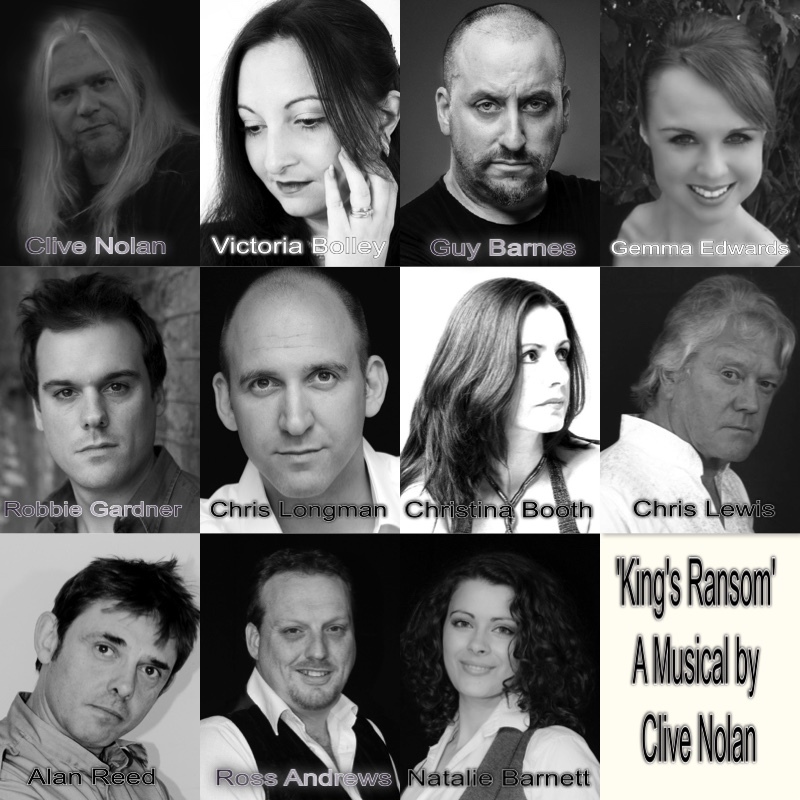 Clive: "I am proud to present the cast for ‘King’s Ransom’: and what a cast! This is a wonderful gathering of superb talent and I look forward to recording all their vocal work for posterity." 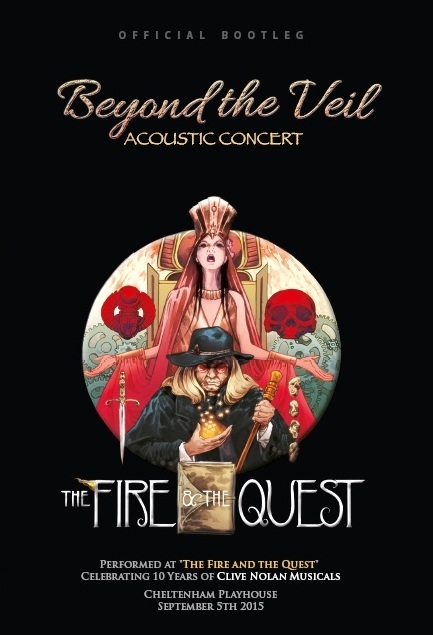 ‘Beyond the Veil’ Acoustic Show DVD Pre Sale! We are going to release an ‘official bootleg’ DVD of the acoustic show recorded during the ‘Fire and the Quest’ weekend in September 2015, celebrating 10 years of Clive Nolan Musicals. This show features a wide variety of Clive’s material performed by a stellar cast of singers and musicians. Clive plays piano, sings and entertains alongside artists including Christina Booth, Alan Reed, Paul Manzi, Chris Lewis, Paul Scott, Agnieszka Swita, Victoria Bolley, Gemma Louise Edwards, Verity Smith, as well as the instrumental talents of Mark Westwood, Scott Higham and Kylan Amos. The cost of the DVD package (full colour cover and 2 DVDs) is £15 and it is now available for pre-order in our ONLINE SHOP! The profits raised from this project will go towards the making of Clive’s new musical ‘King’s Ransom’. ‘Beyond the Veil’ will be dispatched in August (at the latest). Clive Nolan and Friends October Shows in Norway!